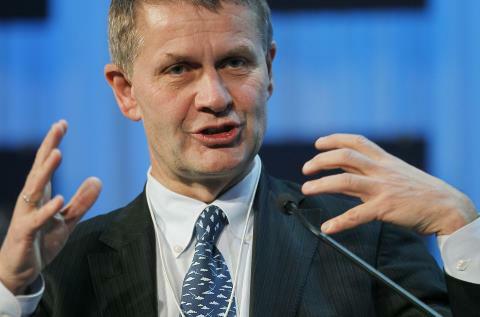 The “New Sri Lanka” needs political support, aid, tourists and investments, former Norwegian Peace Envoy Erik Solheim said to the Norwegian Public Service Radio and TV broadcaster, NRK. He said Sri Lanka had come out of a long period of authoritative rule and that Sri Lankans should be proud that they showed their country had even deeper democratic roots than most people thought. He said he is happy, as are many of his friends in Sri Lanka, and he sees that Sri Lanka has a golden opportunity. During a recent radio interview Solheim elaborated that freedom of expression can be strengthened, and torture and disappearances in the country brought to an end. Coming to terms with the dark side of the history could build a foundation for future generations. Murders committed on politicians and journalists under the previous regime should therefore be solved and war crimes investigated. If Sri Lanka would fail, it would create a lot of frustration and could lead to new conflicts and violence, Erik Solheim said. He tried as a Peace Broker to help the warring parties in Sri Lanka make a peace deal come true after the 2002 Cease Fire agreement. As we know peace talks failed and instead there was another phase in the war, which ended with the defeat of the LTTE in May 2009. Commenting on the shift of government in Sri Lanka, Solheim explained the greatest challenge for the new leadership is to reach real and true reconciliation with the Tamils. The Tamils and Muslims need to get equal rights in society and now comes a time to settle this issue, which of course can be solved. Only Sri Lanka can solve the problems, but they should be assured Norway can and is willing to assist, Solheim said to NRK. He does not see a role for the Norwegian Peace Diplomacy, but said the government in Oslo, as well as governments all over the world, should take the opportunity to “warmly greet the new leadership in Sri Lanka”. Solheim is currently leading a development committee in the Paris based OECD, Organisation for Economic Co-operation and Development. The organisation has 34 member nations, all developed and democratic. Solheim also said the example set in Sri Lanka “will make many dictators night sleep uneasy”. Many commentators sees it as a role model, where a broad opposition came together to replace a leader that had become more and more authoritative. Meanwhile, the Foreign Ministry in Oslo in light of the positive development, in a short statement said it is natural to establish contact with the new government of Sri Lanka. « What The Hell Is Going On?